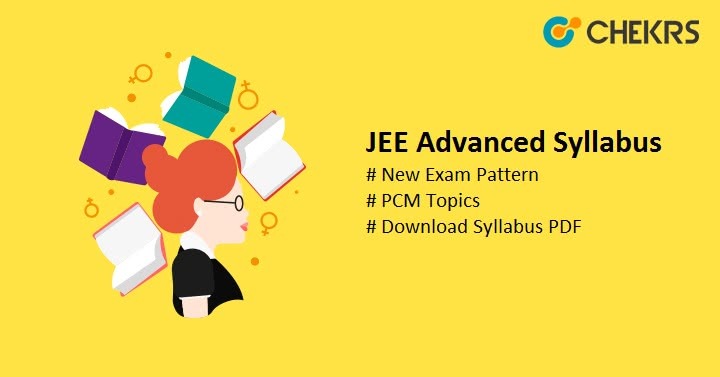 JEE Advanced Syllabus 2019: JEE Advanced is a well popular Entrance Exam. It is a gateway to get admission into various UG and PG courses offered by IITs. The syllabus and Exam pattern is expected to be same next year also thus we got a chance to prepare an article to provide all the information about JEE Advanced Exam Pattern and Syllabus. Latest Update: Check here latest JEE Advanced syllabus. The exam will conduct on May 27, 2019. As you Know there is an ongoing Rift between the center and the IITs, If the final decision goes in the favor of IITs then there will be no changes, but if it goes in the favor of NTA, There might be some changes we can see in the next year examination. JEE Advanced Exam is being conducted through two papers i.e. Paper 1 and Paper 2. Both are compulsory and different and that’s what we are listening in the JEE Advanced 2019 New Exam Pattern Table. Now After the Paper 1 and Paper 2 Syllabus Here we are providing the Complete JEE Advanced Syllabus PDF. In the JEE Advanced Syllabus Candidate will get every single details about the topics from which the questions will be asked. In the below table we are just providing chapters of subjects but if you want to check complete details (topics) check the pdf link. The Syllabus will cover Topics and chapter from Physics, chemistry, and Mathematics. Make sure to check the pdf for complete details. After the Chapters of Subjects, we are here with the topics of JEE Advanced Syllabus. You can download Topic Wise JEE 2019 Advanced Syllabus Pdf from these link. Now you got Syllabus and Exam pattern so you can start your Preparation from now. There is enough time, so make sure to go through the complete syllabus and do revision for better performance. Also, take care of your health and take complete rest. Good Luck we will meet you with JEE Advanced Admit card. Keep Visiting Keep Sharing.